The second half of the session will introduce and demonstrate a large and growing number of free online tools and resources for helping to utilize these lists for teaching, learning, materials creation as well as research and analysis. The tools include interactive flashcards, diagnostic tests, games, vocabulary profiling apps, text creation tools, and more. 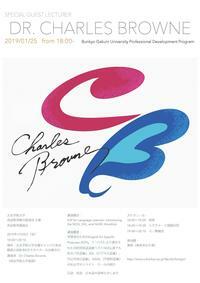 Dr. Browne is Professor of Applied Linguistics and TESOL at Meiji Gakuin University. He is a specialist in Second Language Vocabulary Acquisition and Extensive Reading, especially as they apply to online learning environments, and has written dozens of research articles, books, and textbooks over his 30 years in Japan. In addition to his work in creating several important new corpus-based word lists and a wide range of free online tools to teach, learn and create texts based on these lists, he has also developed many free online ER/EL and vocabulary learning sites, tools and apps, working hard to share this knowledge through countless presentations, seminars and hand-on workshops around the world.